The Schoeps CMIT 5U Shotgun Microphone Softie Kit is designed for ENG and location recording. The kit consists of a Schoep's CMIT 5U shotgun microphone, a Rycote Lyre suspension system, a handheld pistol grip, a fur windshield, and a 40 cm 3-pin XLR gold-plated Mogami microphone cable. The patented Lyre web suspension system does not use elastic or rubber making it virtually unbreakable and unaffected by changes in temperature. The slip-on open-cell foam fur-covered windshield can reduce wind-noise by up to 40 dB. 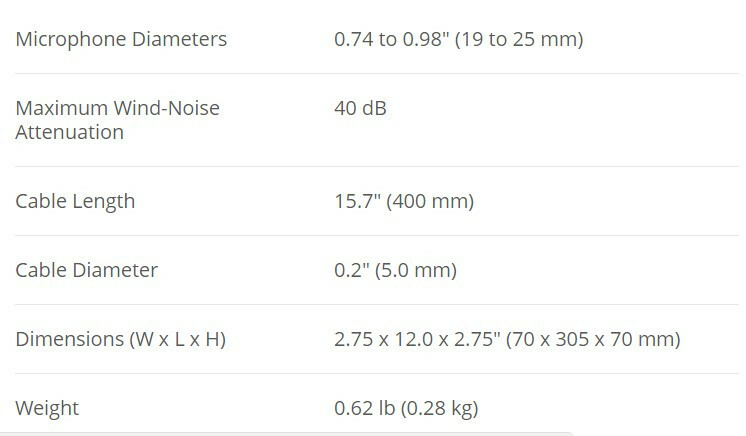 The foam is synthetically engineered to block wind noise without losing high-frequency information, while also being invulnerable to UV or moisture damage. The pistol grip has a soft-feel grip molded into the handle to prevent twisting and slipping. 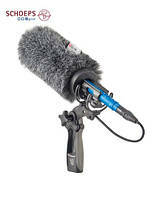 The grip also includes a 3/8" thread for attaching to a boom pole. Alternatively, you can connect the grip to a camera mount via hot shoe or 1/4" thread.